Who doesn’t love a good allium classified vegetable? We know we aren’t alone on this! We will take all the garlic, leeks, scallions, shallots, chives and onions we can get our hungry hands onto. Let’s talk about a vegetable that is one of the most famous and widely used in the world. consumption of onions reside in North America, Northern Africa and Europe, there are countries all over the planet that strive to regularly produce onions. Central Asia is where history places the origin of onions, and still credits surrounding areas as some of the largest production regions of onions to date. Isn’t it wild to think that onions were brought over by pilgrims on the actual Mayflower?! However, onions already existed in the United States at that point much to their surprise! Though it may not come as a shock, as far as the United States, the golden state of California produces the most substantial amount of onions to date. Quite a few states are not too far behind in onion production, but as we now know, these bulbs have made their way just about everywhere – from China to Russia, to Brazil to Egypt and beyond. It is fascinating to hear from the National Onion Association that raw wild onions were the primary food source for meals in ancient times. Onions are mentioned as far back as 3500 B.C., along with garlic in the book of Exodus in the Bible. Question: When was the last time you cooked with onions? Purchased onions? Even if you eat out for every meal, (how though?!) you have to admit within the last week you’ve consumed onions in a meal. You may not even realize that you did if they were cooked into a sauce or soup for flavor rather than being served raw. Point being, onions are everywhere, and we aren’t complaining, no matter how many pairs of onion goggles we need to purchase to spare the tears. Ouch. That stinging of the eyes stems from the massive amount of sulfur compounds when cutting the onion. Can we agree that the sting of onions is similar to the sting of a brain freeze? The momentary discomfort, or straight up head shock for the matter, is definitely not going to stop you from finishing your delicious treat. Oh, the prices we pay for the pleasure of our taste buds. The number of powerful antioxidants in onions may come as a surprise – but what these babies can do for anti-inflammatory properties in the body is incredible. 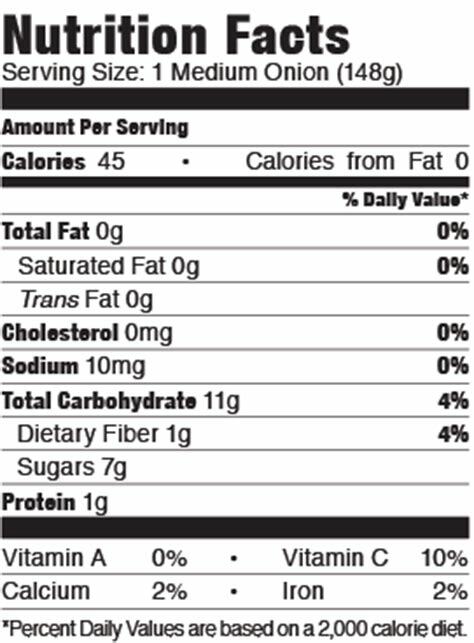 Not to mention Vitamin C and manganese. The phytonutrients help give onions their unique colors. 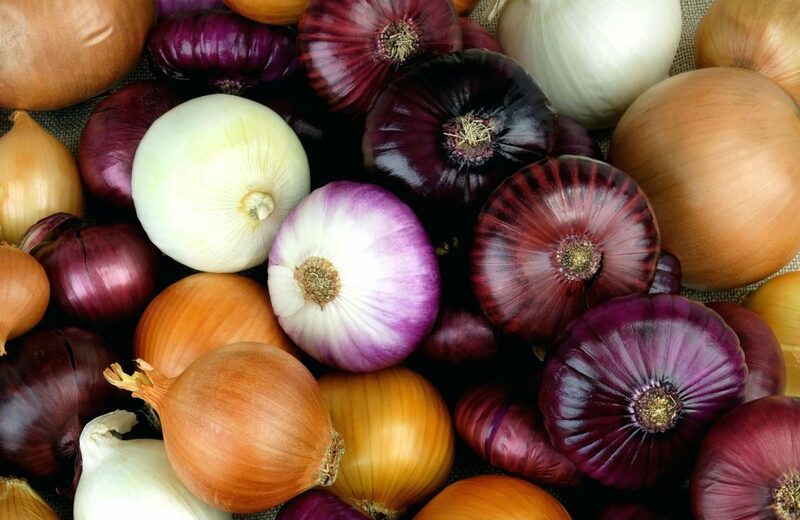 With the right amount of consumption, there is evidence to support the linkage between onions and cancer prevention measures, prevention of bacterial infections, and even cardiovascular benefits long term. Onions are associated in studies that help with everything from diabetes to tooth decay. Can you say jack of many trades? It is advised to pick out onions at the grocery store or farmers market by making sure they look “healthy,” meaning they are crisp and dry, clean, and not broken in the sealed outer layer. Did you know it’s best for onions to be stored away from light and at room temperature? After you cut into an onion and want to save the remaining bits, throw them into a Tupperware or Ziploc baggie in the refrigerator. We love commodities that last – even after multiple uses. Onions are prime territory for numerous uses and longevity. It’s no problem to use the same onion for days at a time incorporated into all kinds of meals and snacks. An honest question before you go – if we were to look in your kitchen right now and not see any onions – do you even eat bro?